Ever wanted to throw a party for your whole vampire household and invited one or 2 sims over to drink from? 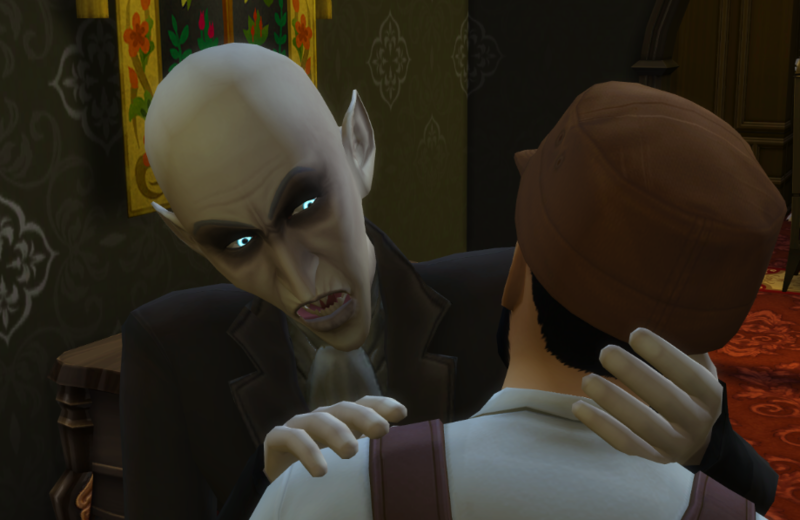 Then you know the pain if you have more then 2 vampires who are hungry and cannot feed on that invited sim, because he/she was already bitten and drained from their plasma. Well this has been lifted. Now you can create your very own The Vampire Diaries drinking sprees, let the ripper come out and play a little bit with the prey! But be careful, it is not tested yet if excessive drinking can kill sims! Because if you drain them and they have low levels in their emotions, they may die. Which would be a "good" thing for deviant players! I've uploaded version 3 for stronger Plasma food! The package contains all the foods. Plasma fruit, Plasma Salad, Plasma Packs and Plasma Jane! Second update for today, I've uploaded version 2 for the No Mentor Timeout! This time the function will truly never disable and your vampire can ask the mentor as many times as they like! 4. No sadness from vampires, no more stupid mourning for them! I've uploaded a new optional file called VAMPIRES_Faster_Transformation! In my test the transformation which usually takes about 3 days or so to finish, only took my Sim 1 day. She turned the same day a vampire offered her the dark gift! I've uploaded a new optional package which allows the mentor interaction to be active forever, no more timeout. Please test if it is working as it should and let me know. I just created this and would need to jump inGame to test it myself, but I am on the run soon and won't be back until the evening again... Enjoy! I've uploaded a new version for the deadly Drain Life Spirit interaction. Some people reported that it did not work for whatever reason. So I just re-created the file and tested it with a newbie vampire, who I cheated up to Master Vampire and gave him the Manipulate Life Spirit power. Afterwards I used it on a random townie and he indeed died of exhaustion! Version 2.0 should work. I've uploaded a new autonomy mod, this will contain all things autonomy later on. So far I've successfully tested Dark meditation and Offer to turn. My sim was turned by Caleb Vatore automatically as they went on a date together! So it definitely works! Please make sure not to use this version with the stand alone for Dark Meditation, as it edits the same file! Also it only works if the vampire has the Vampire Creation power activated! I've uploaded another deadly "Drain Life Spirit" mod which is again optional. 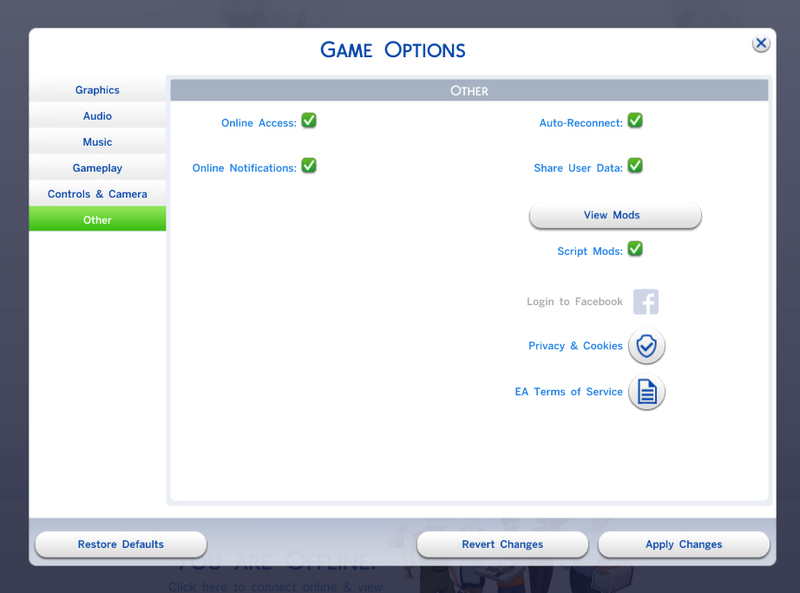 There are now two options, Sims will die of hunger or exhaustion. You cannot have both, so choose the one you prefer! I've just uploaded both version with relationship loss and without again, because I was aware of an error that was caused by those mods. 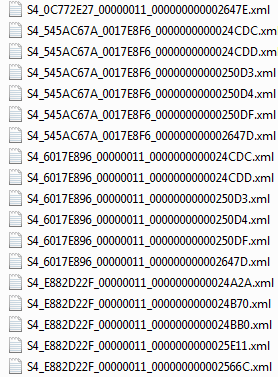 I think I fixed the error and therefore uploaded new versions. Please delete the old ones and add the new versions! Don't forget to delete the localthumbache.package, as it could save the old versions and messes things up! Dear Chaavik allowed me to add her Dark Meditation mod into the VAMPIRES - Mega Mod. This is a collection of all things vampires, so this is just fitting. My mod however has a few changes. The time range of Dark Meditation is 60/60 which is enough time to fill the energy bar! However if you interrupt the Dark Meditation the interaction won't disappear. You can use it again and again, until the energy bar is filled. Once the energy bar is full, the DM interaction will grey out, but can be used again when the energy goes down! - This pack is optional and is the first part of my VAMPIRES autonomy mod. NPC vampires will use the Dark Meditation interaction on their own when the energy bar gets low! I've uploaded a new optional pack for the mod, this time I got a nice little gift for deviant players! 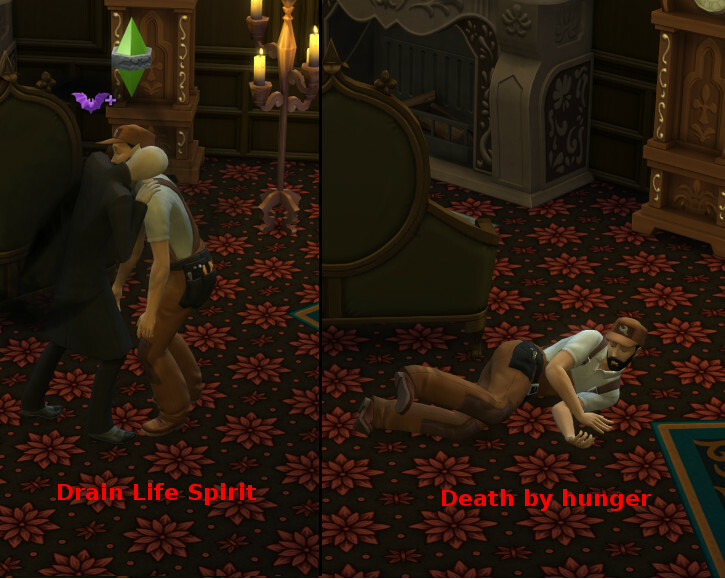 From now on the "Drain Life Spirit" interaction will cause the death of a sim. The death cause is "hunger". Have fun on your killing sprees! 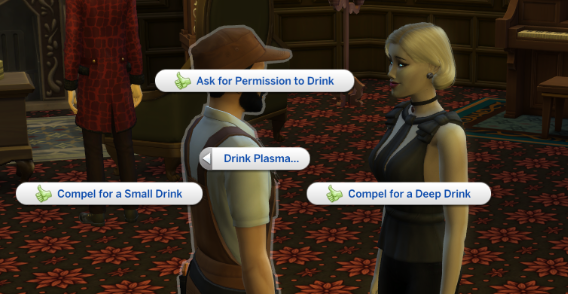 I've uploaded a new optional pack for the mod, which makes the "Ask Permission to drink" interaction 100% successful. 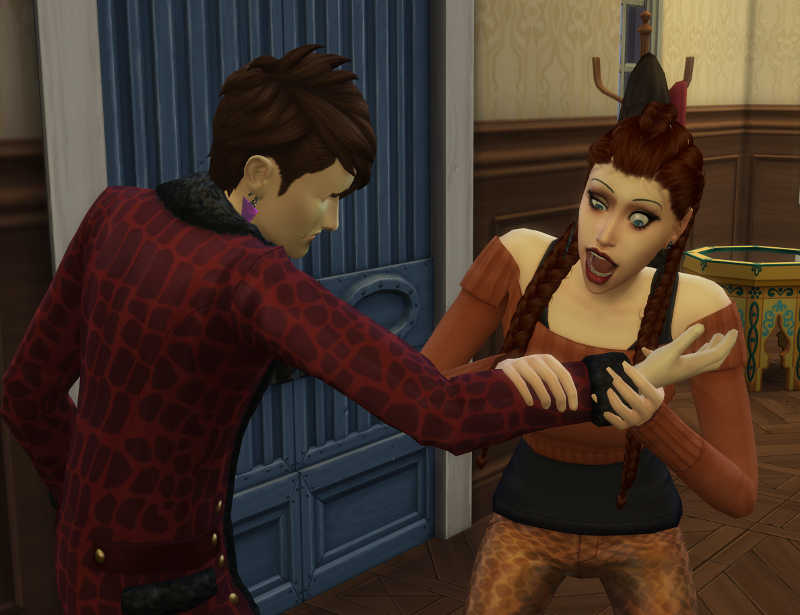 I've also added a nice little touch, before a sim is bitten he will perform the excited reaction rather than the angry one! You can now drink as much as you like per permission! I've uploaded a new version of the Plasma Pack mod. I also renamed it Stronger Plasma Food, since I've added the plasma fruit as well. The original value was 18.25 and I changed it to 80.0. So the fruit will also give much more fulfillment to the thirst! I've uploaded another wished for mod addon, which is optional. It gives much more fulfillment to drink Plasma packs from now on! The medical plasma gives the most, Frog & Fish Plasma packs give a little less, but much more than original! I've also uploaded a second flavor of this mod. It's the same as the base version, just with the little addition that sims who see you using Deep Drink on anyone else won't lose their relationship with you because of it.